Afterburner Incorporated's team building events and corporate workshops are founded on the principles of the Flawless Execution℠ model, developed from a combination of business experience and strategic and tactical military execution. Afterburner draws from its Three E's, Empower, Equip and Embed, to teach corporate teams the Plan, Brief, Execute and Debrief system to transform companies from the ground up. In Afterburner Empower, clients of all sizes (including corporations, meeting planners, professional groups, and trade associations) can benefit from a variety of experiential corporate team building events, including inspirational keynote speeches and the legendary "Afterburner Day" team-building experience. The company was founded in 1996 by former U.S. Air Force fighter pilot James D. Murphy, when "Murph" realized that the tools he learned in the zero-tolerance-for-error world of military aviation were applicable and imperative to business success. Since its creation, Afterburner has trained over 1.5 million managers and executives in the simple, scalable, continuous improvement processes of Flawless Execution℠ by delivering customized corporate training workshops, team building events and motivational seminars. Afterburner's accomplishments include being listed in Inc. Magazine's "Inc. 500 List of America's Fastest Growing Companies" twice, with regular features in publications such as The Wall Street Journal, Business Week, Financial Times, Newsweek, and Meetings and Conventions Magazine. Afterburner has also appeared on Fox News, CNN, CNBC and Bloomberg News. Murphy is also the author of Business Is Combat, now in its third printing, and his latest book, The Debrief Imperative. 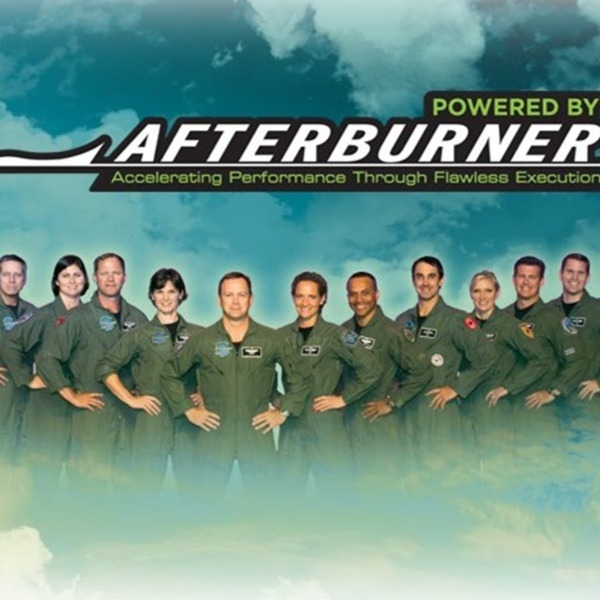 Today, Afterburner is considered the world's leading authority on organizational execution, boasting 30% of the U.S. Fortune 500 as clients who have benefitted from the company's unique corporate team building events and corporate training workshops. Our methodology has its roots in the high reliability world of military fighter aviation. It's based on a four-step process of planning, briefing, executing, and debriefing every mission and is used by elite military professionals to guarantee results. This process that has enabled some of the best teams in the world to survive and thrive in the business of combat is just as applicable in the world of business. The knowledge that was once reserved for the few who made it to the Top Gun is now available to business leaders. Our leading-edge curriculum enables managers at all levels in your organization to dramatically improve execution and more importantly- close the execution gap and IMPROVE RESULTS. Sound simple? It is.